We’re building an active startup community through local and regional partnerships, where ideas are becoming thriving businesses. 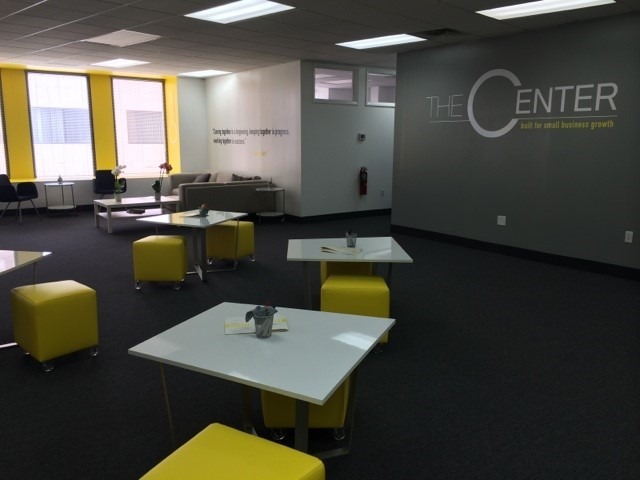 In June we launched the opening of our small business startup incubator, The Center: built for small business growth (http://startbinghamton.com). The Center provides the physical infrastructure and support system for new ventures to grow vibrantly into the local economy. The economy is changing, evolving, and adapting. We’re working from new business model and The Center was created to provide the foundation so that entrepreneurs can focus their time and energy on growing their business. The Center offers private office and collaborative work space, programs and workshops, 1:1 mentoring, and can provide tax benefits through a number of state programs aimed at increasing new business startups. We’ve established strong partnerships with Binghamton University, Cornell University and Corning Enterprises to become a member of the Southern Tier Startup Alliance (http://ststartup.com), whose purpose is to provide a network of support throughout the Southern Tier of New York. By creating companies in Broome County and the Southern Tier, we are increasing jobs and diversifying the employment base to strengthen the Upstate economy. The Center has also been designated as eligible START-UP NY space. START-UP NY helps you start, expand or relocate your qualified business to a tax-free zone in New York State in connection with a college or university campus that aligns with your business specialty. Our partnerships with Binghamton University provide access to state-of-the art research facilities and faculty, as well as graduate students or interns that can help move your idea from concept to market. As a member of the Southern Tier Startup Alliance, we can provide “hot spot” tax benefits to businesses located at The Center. Businesses eligible to participate in the program must be located in New York and include corporations, sole proprietorships, partnerships, limited partnerships, LLCs, and New York S corporations in the formative stages of development. The business must also be approved to be located in a STSA incubator. Under the program, startup businesses are eligible for corporation franchise tax benefits, such as a fixed dollar minimum benefit and subtraction modification benefit, and sales and use taxes benefits. Eligible companies can receive these benefits for a period of five years. The benefits of starting your business in an incubator are many. Statistics from the National Business Incubator Association (NBIA) state that 87% of incubator graduates remain in business compared to 50-60% failure rate nationally for startups in their first five years. Additionally, 84% of incubated companies stay in the community where they underwent incubation. Finally, 65% of incubator-based early stage companies are likely to receive third-party funding as compared to 10% of non-incubator based companies. Incubation can be an integral tool in starting your business. The reason is clear. You can achieve the ideal work / life balance in Broome County. We truly do have it all. #thrivenow. To learn more about The Center, visit www.startbinghamton.com.